I have never seen something like this! This is the best natural light show ever! 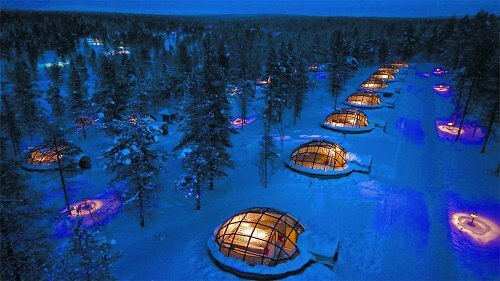 The Igloo is made by thermal glass and you will not frost, but you will see amazing Northern Lights from all your “windows”. Finnish Lapland will be glad to meet you from December till April in the Igloo Village Kakslauttanen!